China has assembled its first domestically-designed aircraft carrier built solely out of indigenous components, the latest major achievement in Beijing’s large-scale efforts to upgrade its military. Currently known as the Type 001A, the warship bears resemblance to the Admiral Kuznetsov-class multirole aircraft carrier Varyag. On Thursday, Chinese Defense Ministry Spokesman Wu Qian said that the hull of the vessel was fully assembled, confirming what some defense analysts had asserted for weeks. The spokesperson also said that the design of the ship has been finalized, adding that workers have already begun installing equipment on board. No additional information relating to the Type 001A has been made public. The new warship is the second of its class in service with the People’s Liberation Army Navy. It is in fact a slightly modified Chinese-built version of the Admiral Kuznetsov-class aircraft carrier Varyag, which Beijing purchased in 1998. The Soviet-made vessel, later renamed Liaoning, was completely rebuilt and refitted to serve for training purposes. It was commissioned in September 2012. 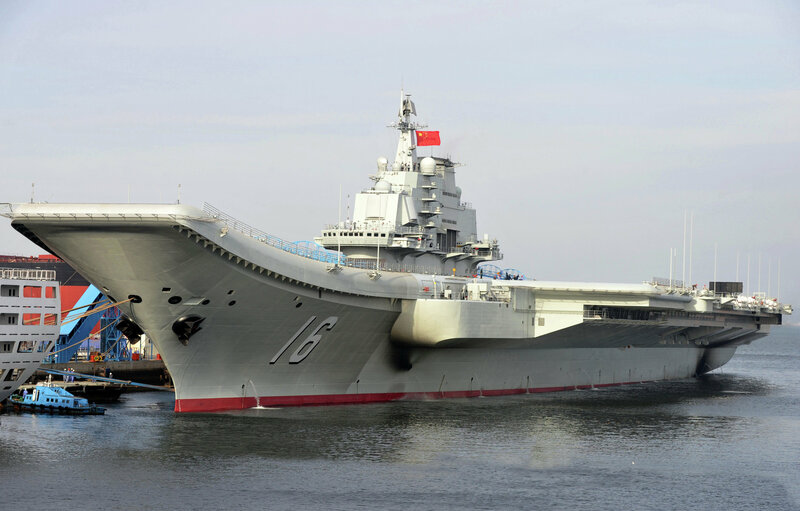 The Type 001A is expected to be faster than the Liaoning. Its weapons and electronic equipment are said to need less time to come online, the Global Times reported, citing defense analyst Cao Weidong. China unveiled that it was building its own aircraft carrier late last year, with the Chinese Defense Ministry making the announcement on December 31, 2015. Chinese defense officials have not disclosed when the aircraft carrier is expected to be fully assembled and enter sea trials. “The design and construction of the second aircraft carrier, having drawn on experience from the tests and training on the first one, will be better in many ways,” Chinese Defense Ministry Spokesman Yang Yujun said last year. The Type 001A is currently stationed at the shipyard of the Dalian Shipbuilding Industry Company (DSIC), located in the Liaoning province. The new aircraft carrier, like China’s other modern naval weapons, is largely seen as part of Beijing’s attempt to boost its maritime power at a time of increased tensions with Washington over the South China Sea.